This hurricane season has been one of the most active in recent memory, especially for the citizens of Houston, Florida, and Puerto Rico. These storms and the associated flooding have devastated communities. They have left people without homes, food, or clean water, resulting in a massive public health crisis. The destruction caused by flooding has cost untold billions in property damage, and has claimed hundreds of lives. As the waters recede and the rebuilding effort begins, the issue of climate change is becoming harder and harder to ignore. And the coastal areas hit hardest are bringing to light the issues of overbuilding and environmental deregulation. The Houston and South Florida metropolitan areas are known for their Laissez–faire business climates, undergoing massive development over the last 20 years. Unsurprisingly, in the aftermath of these storms, they were both struggling to literally drain the swamp. Coastal and low-lying areas such as these are already prone to floods during hurricane season. These areas depend on barrier islands to prevent storm surge, and on surrounding wetlands to absorb the excess water. But due to the astronomical rate of construction in these regions, the natural safeguards from rising sea levels are being eroded. Between 1992 and 2010 alone nearly 25,000 acres (about 10,000 hectares) of natural wetland infrastructure was wiped out… Much of the destroyed wetlands were covered with pavement to accommodate the region’s explosive population growth. So these days, even a run-of-the-mill storm causes water to gush down the streets and can lead to flooding. Wetlands in the area have been gobbled up at an alarming rate, and floods are now becoming a regular occurrence. Since Houston, Texas was founded nearly two centuries ago, Houstonians have been treating its wetlands as stinky, mosquito-infested blots in need of drainage. Even after it became a widely accepted scientific fact that wetlands can soak up large amounts of flood water, the city continued to pave over them. Nature is particularly difficult to tame in Florida. There is so much water that it bubbles up from the ground. Engineers have dredged and carved the land, funneling the water here and there, controlling it with gates and gauges, but it still does what it wants. When many cities in Florida flood, which can occur even without rainfall during the highest tides, fish swim in the streets and people wade to their cars. Near Naples, Marco Island, where the storm made its second landfall, used to be a mangrove island that helped protect the mainland from winds and storm surges. But it became a lure for resorts and golf courses long ago. As obvious as they may seem, solutions to these challenges will not be easy to come by. The real estate developers are simply too powerful, and hold too much sway on lawmakers, who are beholden to their campaign contributions. Compounding the problem is the fact that many people are attached to where they live, and simply do not want to leave. The building will continue for now, and the population will continue to explode until there is no choice but to act. All of these measures have left Floridians more vulnerable to further hurricane damage, and they have Mr. Scott to thank for it. As Hurricane Irma, one of the strongest storms ever recorded in the Atlantic, bears down on South Florida, the state is bracing for the worst. “We can rebuild your home, but we cannot rebuild your life,” Republican Gov. Rick Scott said Wednesday. Mandatory evacuations are in place in a number of Florida communities. 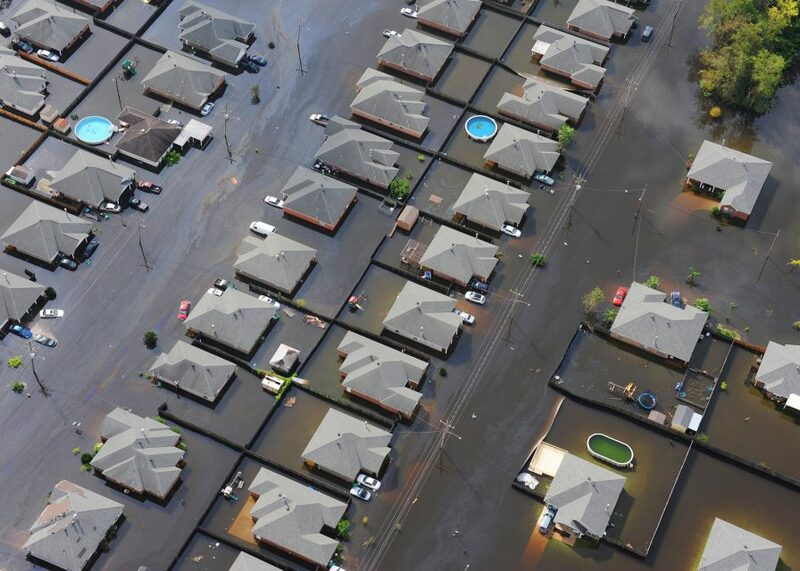 This new round of disasters also calls into question the validity of the National Flood Insurance Program, the insurer of last resort for over 5 million American households, many of which are located in disaster prone areas. The program is effectively broke, and faces a deadline of Dec. 8 to decide whether to keep it going. It basically incentivizes living in disaster prone areas, and often pays out sums equivalent to many times the value of the asset involved. The program has been in the red since hurricane Katrina, and is the definition of insolvency. The greater question remains whether it is wise to continue to rebuild in areas that consistently suffer natural disasters. As the effects of climate change continue to ramp up, and the allure of living on the coast remains, the costs of overdevelopment and deregulation will continue to mount.